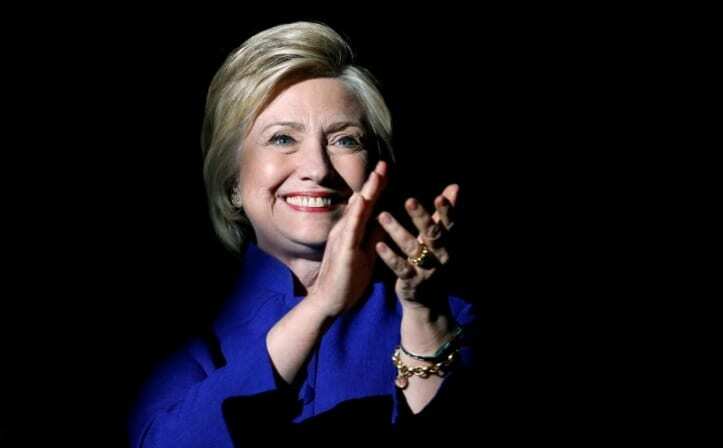 Hillary Clinton won Tuesday’s Democratic primary in California, the Associated Press declared early Wednesday morning. With 93 percent of the vote reported, Clinton took 56 percent against her rival, Bernie Sanders, who had 43 percent. Clinton had effectively claimed the nomination Tuesday night after her victory in New Jersey. “We are all standing under the glass ceiling now,” Clinton said of the milestone of a major party nominating a woman for president. She also congratulated Sanders on his campaign, even though he appears reluctant to concede to Clinton. Clinton looked ahead to the general election, blasting presumptive Republican nominee Donald Trump as “temperamentally unfit” to be president. She went after Trump for “denigrating Muslims and immigrants,” and slammed his propensity to blame the press for his shortcomings. This entry was posted on June 8th 2016 at 10:55am/10:55 and is filed under Elections, Live News Column 2, Politics. You can follow any responses to this entry through the RSS 2.0 feed.